CNI Network's Lent Prayer Guide may also be useful. Your people will rebuild the cities that were destroyed long ago. And you will build again on the old foundations. You will be called the one who repairs broken walls. 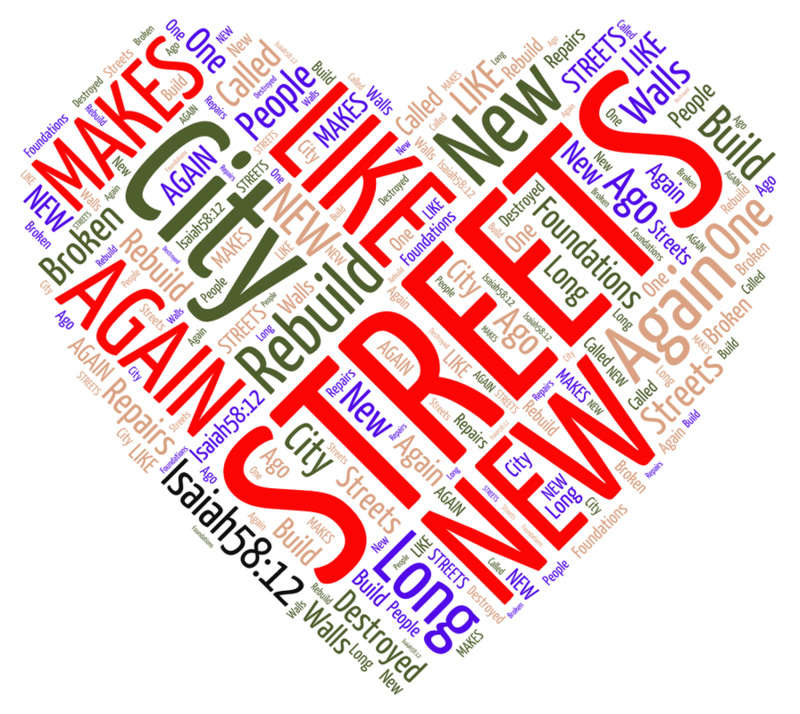 You will be called the one who makes city streets like new again. Lord as we pray ‘God’s Kingdom come, God’s will be done, on earth as in heaven’ help us to be people who make that a reality for our communities. We thank you for the work that happens at night in communities across the UK and overseas to help make this prayer a reality. We pray for every single person who has received help from one of the Street, Club or Festival Angel volunteers. We pray for those caught up in a life of addiction - that freedom may be found. We pray for those who volunteer to serve you at night - for strength, energy and wisdom. Thank you that alcohol related crime and A&E admissions are reducing in the UK year on year - we give you the glory Lord for this, the changed lives and changed communities. Amen! www.youtube.com/watch?v=_c5tfDVMD4M - a short video giving an overview of the work on the streets and CNI Network. Please use the #CNIPrayer on social media! Throughout the year we have daily prayers available on this page and as a Google Calendar - please feel free to include the calendar on your web site, to send us prayer pointers and to make this calendar known.